When I was 18 one of my ‘world of zines’ correspondents recommended a book called Germinal by a writer called Émile Zola. Back then I was even more open to new suggestions than I am now, so I dutifully went out to WH Smith and picked up a copy. The story inside had everything I was looking for in a book – stark, naturalistically-drawn characters, dramatic historical events, love and death, and an inspirational proto-socialist climax. I was impressed enough to go out and buy L’Oevre and Nana, both of which were almost equally impressive. At some point I realised that these books were part of a larger series which followed the progress of the different members of a single family during the Second French Empire of 1852-1870, and decided to read all twenty of them. In the next year or two I got through La Terre, La Bête Humaine and L’Assommoir, before foolishly deciding that all this jumping backwards and forwards wouldn’t do, and that I really should read them all in order, starting from the first, La Fortune des Rougon. These were the heady pre-Amazon days, and though I tended to hang around in bookshops (and even work in one occasionally), this book proved impossible to find until 2002, when I’d gone off the project and was about to move to Prague for a few years. These days I have a smartphone, reader software, access to any PDF I can think of and a lot of time spent on slow-moving public transport; so it looks like we’re on course to start this thing again. I cautiously expect myself to get through a book a month (reading nothing but Zola would undoubtedly lead to naturalisme burnout), and might have time to watch any film adaptations too. 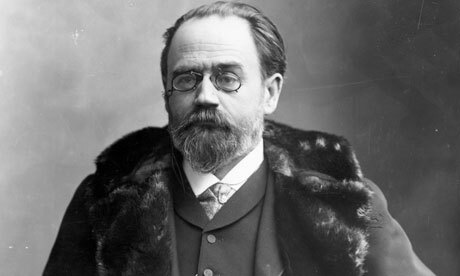 Émile Zola was one of the founders of the French “Naturalism” movement. Most artistic movements of this name tend to stress a gritty, down-to-earth depiction of “the common man” or the working classes in general, but Zola’s idea is both wider in scope and conceptually narrower. In the late 19th century new scientific, political and sociological ideas were exploding, and inspired by these Zola set out to demonstrate “scientifically” the influence heredity, social environment and other factors have on individual lives. Unfortunately for a modern reader the theories these books are based on have either been discredited or substantially modified in the last 150 years, and therefore they can’t really be read in the slightly odd way Zola intended. It doesn’t really matter, though – this concept doesn’t seem particularly present in the books that I’ve read so far, though another, much more exciting one is: the idea of writing serious, readable novels with shared characters moving through generations. It’s a huge shame that the idea of a saga has become so devalued by the tedious best-selling examples of the 20th century. The genre (or rather the idea) seems to have been cordoned off into a cosy ghetto, while often brilliant modern literature – structuralist, deconstructionist, poststructuralist, postmodernist, post-colonialist – tends to focus on individual, personal experiences. What I really want to discover is something to do with this: A novel is perhaps a years work – that’s a year of living with your characters, your story, your style. If you follow those people through the years into subsequent generations, does that lead to greater insights into their characters, their world, life in general? The books from this series which I have read are generally from the latter half, and it’s therefore clear before I even start that the conclusions reached by Zola are in effect quite different, and significantly more complex than the fairly crude ones he starts the first book with. Is the project then an exercise in discovery about the world? Or even one of self-discovery (as messy and cliched a 20th century concept as that is)? I don’t have any answers to these questions, yet. But give it a year or so, and we’ll see.